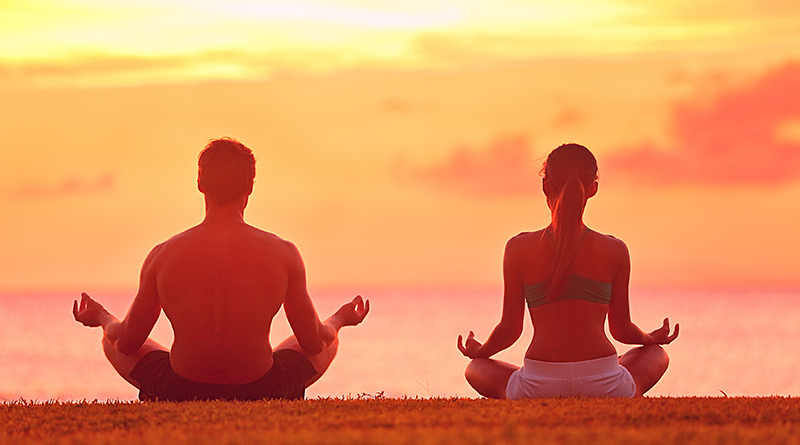 Practicing yoga is a great way to detoxify your body. Do you know why? Find it right here! Among the included merits of yoga, you get a better body posture, stronger and well stretched muscles, maintaining a healthy weight or quiet, restful nights, and many others. Add the detoxifying power with which this modality can present your body. Many of the positions adopted in yoga promote the health of various bodies helping them to detoxify and improve blood circulation, for example. Did you know that a bad posture can affect the health of your lungs? To remedy this failure, several positions of yoga that can alleviate this problem. Try to sit on you shins, lean back with both hands supported on the floor by pressing the palms as if you were pushing it. Feel your shoulders and chest to open. Hold this position for five breaths. This position serves precisely to stretch the spinal cord, allowing the lungs to expand and contract. Digestive problems can also be dealt through some specific postures. Especially twisting poses encourage waste disposal and assist in digestion. Here are some examples of poses that you can adopt if you want to relieve the symptoms of poor digestion. Sit on the floor and extend both legs forward. Bend both knees and place the left heel as close to the hip as you can. Stretch the right arm with the palm of your hand on the ground and then cross the left elbow on the outer portion of the thigh, to increase the twisting of the trunk. Another of the positions that you can try to stimulate digestion is also beneficial to ease back pain. Lying on your stomach with your arms stretched along the trunk to inspire and lift both legs together and stretched at the same time posing also head, chest and shoulders off the floor. Stretch the maximum you can with the head in the opposite direction so that the column be well stretched. Poor circulation can be responsible for numerous health problems, but there are some yoga positions that you can trust to put the blood move better. Some are more advanced and some more simple. If you practice yoga at a more advanced level, take the pin position but with your head resting on the floor. There’s nothing like it to remove the toxins circulating around the circulatory and lymphatic systems. Hold this position for ten breaths. For those who don’t feel comfortable with this position, you can try a simpler. Standing with both legs well apart, bend the hip and trunk to approach the most you can to get the legs. Stretch your arms back, join both hands and press the palms together. We hear a lot about Pilates… But do you know what it is?